Kulgi (Dandeli), Karnataka: Last month TRAFFIC, in partnership with WWF-India, the National Tiger Conservation Authority (NTCA) and the Police Radio Training School (PRTS), Indore, organised a two-day training programme on monitoring and curbing illegal wildlife trade online for the forest officials of Kali Tiger Reserve, Karnataka. 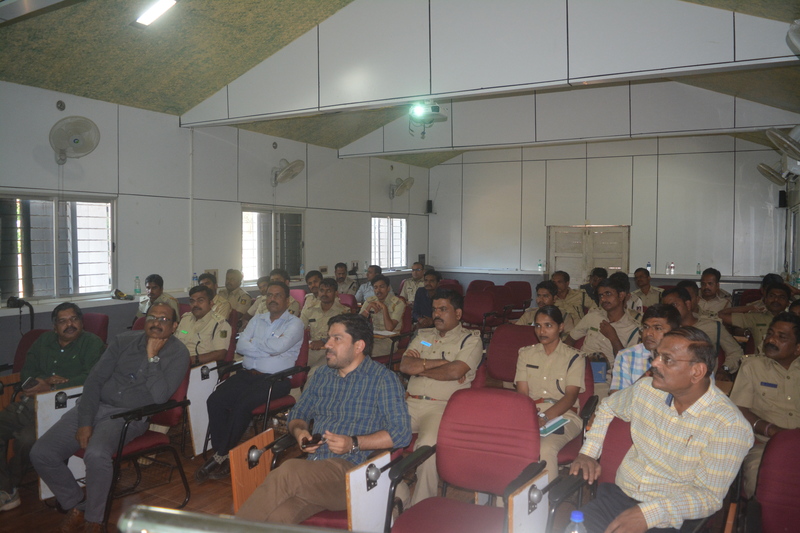 The training was attended by 38 officials from Karnataka Forest Department and followed similar trainings held in Uttarakhand and Assam. Dr Saket Badola, Head, TRAFFIC India said, “Traffickers and criminal networks are exploiting e-commerce websites and social media platforms to trade in illicit wildlife products. It is vital to have a tech-savvy response to this new form of organised wildlife crime”. “Karnataka is rich in wildlife, has a long coastline, and needs to be on high alert against all forms of poaching and the wildlife trafficking that extends to marine species, including sharks,” added Dr Badola.